From musicians to comedians and even writers, more and more ‘artists’ are going the mobile app way. Powerful app studios are backing them and it all seems pretty easy. But such apps by artists tend to have a very short shelf life unless supported by a strong app marketing strategy. Undoubtedly, we can learn a lot from the ones that have been a winner at the app game. Not until Glu Mobile launched the successful Kim Kardashian app in 2014. 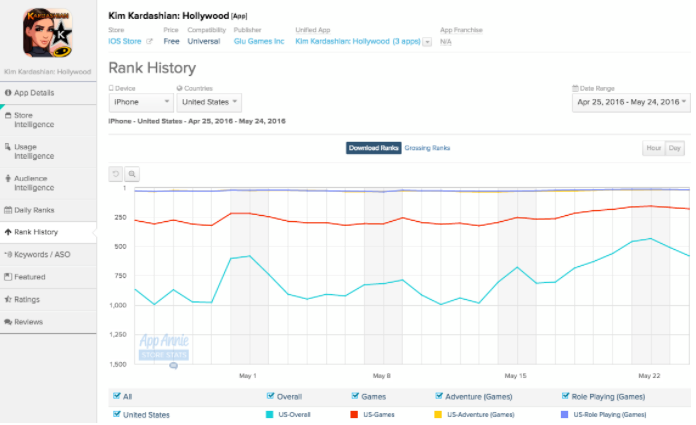 Soon after launching the app, Glu Mobile clocked their best business year and made millions in revenue. This app also brought Kim Kardashian to the forefront, and boosted her value as an artist, significantly. Since then, mobile apps have become the new PR vehicle for artists across genres, at least for the ones who can afford the cost attached to it! Unfortunately, only a handful of them have been successful and the ones that have survived didn’t rise above the noise easily! They had to stay relevant with their content, use impeccable promotion tactics as well as implement strategies that have an impressionable impact on their users- people like you. In this article, we showcase a few apps that have impressed us in terms of their strategy and growth. The tactics used offer a few valuable lessons for app marketing professionals. Before proceeding any further, let’s evaluate and understand whether having an app is a real opportunity for artists or is it just a fad. Mobile App – An Opportunity or a Fad For ‘Artists’? Not just a fad by our standards. After the success of the Kardashian game, Flurry, a mobile analytics research firm, sampled successful games which had a total reach of 1.1 million mobile devices. The idea behind the study was to identify the change in trends associated with the mobile gaming audience. This study found that 32% of time one spends on mobile devices is devoted to playing games. Gaming apps also attract favorable in-app purchases from users. If we connect the dots, it is clear that gaming apps enjoy an immense popularity with the masses. It isn’t surprising that everyone from Taylor Swift to Nicki Minaj and even Britney Spears, have chosen to adopt the gaming app route, due to the business opportunity and exposure that it offers. Gaming apps launched by artists also attract a steady stream of advertisers and thus is a great way of amplifying an artist’s overall brand value. An app is an excellent medium to expand an artist’s popularity amongst their followers. More than that, an app provides them a unique opportunity to connect with their untapped users as well. Now, it is very easy to assume that a gaming app by an artist would have the same follower mix as they enjoy in real life. Taylor Swift is expected to have a certain kind of audience following, which is way different than that of Celine Dion for example. But that’s not true, especially for artists releasing mobile apps. Therefore it is correct to say that apps by artists are helping broaden their user base by providing them a unique and much needed engagement platform. Having made sense of why artists are attracted to the mobile app opportunity let’s have a look at the ones who are truly doing it the right way and what we can learn from them. A unique experience is what a user downloads an app for, especially if it is launched by an artist. Unique experiences are what matter! Jimmy Fallon’s app called BONK is worth a mention when we talk about an artist creating a unique experience for their users. We all know that Fallon is an amazing comedian and host, and while it may be easy for him to make people laugh on the Tonight’s Show, we are pretty sure that recreating a similar experience within an app mustn’t have been easy for his team too! The app is an extension of a segment with the same name and was created to let his fans experience BONKING firsthand. Here’s a clip from the show that shows Jimmy bonking his guests. Fortunately for him, the app seems to be a hit with his audience and enjoys a 4-star rating on the app store. The segment is pretty unique on its own, and if we go by the favorable ratings, it is clear that the team has been successful in extending the same unique experience within the app as well. Chelsea Handler’s app- ‘Gotta Go’ is yet another example where an artist found the right context and looped it into an app, thereby making it unique for its audience. The app was designed to help people dodge awkward situations- like silly chatting sessions or dinner dates. Marketers need to understand that every aspect of the app right from user onboarding to welcome emails or even the core content of the app should aim at offering something different to the user. This is a significant lesson in app marketing. Kim Kardashian is a veteran at the app game, and her team seems to understand that creating just an engaging app experience isn’t enough. One needs to promote it well too. She has consistently added tactics to promote the app, in order to achieve this feat. For example, in 2015, she launched the “Meet Kim” contest through her mobile app. Her fans could enter the contest and get a chance to meet her in person by simply playing the mobile game! 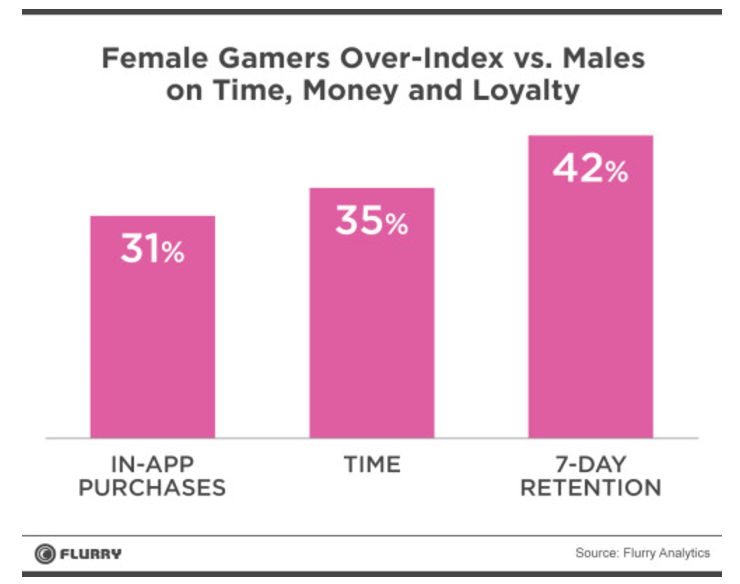 Clearly, this is reason enough for her users to double the time they spend within the gaming app as well as invest into in-app features. Recently, she also launched a bot on Facebook and Kik to further promote the app. Marketers should remember that a lot goes into creating a memorable user experience, but it holds no value if it isn’t promoted well. Churn due to lack of user engagement is a big issue when it comes to mobile apps, and is a constant pain point for brands as well as app marketing studios. That’s why Marketers need to reinvent the way they produce and deliver content while engaging with their app audience. When it comes to artists, the issue is much bigger. Users expect artists to offer content that’s unique, identifiable, engaging and out-of-the-box. 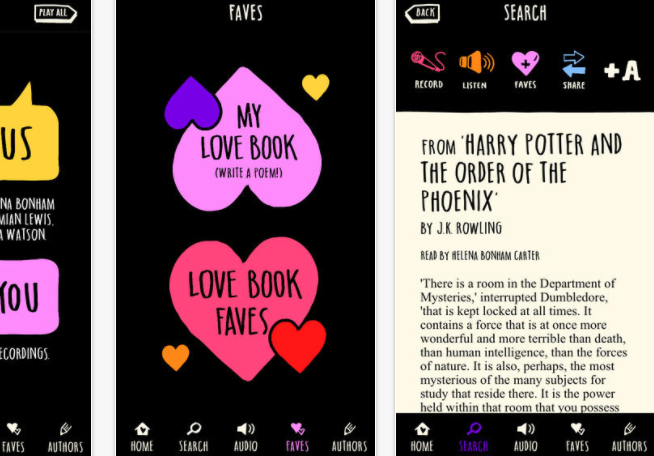 The Love Book App is a perfect example of an artist reinventing content. The app is also a fitting confluence of technology and creativity and is launched by Allie Esiri a British Writer. Even though the app has a niche target audience, its content and delivery are quite exceptional. For starters, the app has quotes, poems, love letters, etc. right from Shakespeare to JK Rowling and is highly innovative and interactive. Users can not only tweet, post to Facebook or email straight from the app; they can also record their own version and share it. The app also allows users to write their work. The most amazing offering of the app is its readings by celebrities who too are its fans! The app includes reading from Emma Watson, Helena Bonham Carter, Tom Hiddleston, Damian Lewis, Gina Bellman and Helen McCrory. In stark contrast, a few apps, such as the one launched by Madonna, haven’t been to generate as many app downloads as expected (50,000) even after being backed by an artist of her stature. This app hasn’t been able to maintain visibility due to lack of invention in line with the ongoing trends. App Marketers spend millions in order to stay relevant and be able to achieve a favorable brand recall in the mind of their users. By incorporating features within the app that appeal to a wider audience, they can not only build a positive word-of-mouth but also increase the chances of their app going viral.Take for example the case of Airbnb which incorporated ‘in-app referrals’ to boost its mobile growth. For artists, the easiest possible way to stay fresh in the mind of their users is by launching an app that banks on a current trend. Take for example the Justin Bieber app- JUSTMOJI. JUSTMOJI is an app that’s aimed at his ‘emoji’ and ‘meme’ struck followers. His users find value in its offering, and the app lets them have a memorable time, which is all that matters for an artist. The high-profile artist is banking on a trend wave that matches his target audience. It is bound to do well given that his followers are already loving and sharing it! On the hindsight, artists should also remember that they need to continually evolve with their app in order to stay relevant. A recent study done by Localytics found that 24% of app users abandon an app after one use. Despite taking all the possible measures, retention rates seem to be dwindling. Now you’ll agree that apps by artists do not have the same stickiness as a productivity or an E-commerce app, and it is safe to assume that retention percentage for such apps will be much lower in comparison. With cut throat competition and lower retention rates, it is pretty smart of artists to join hands with an already established app, thereby increasing the chances of reaching out to a wider audience. Collaboration is a powerful tool which is often forgotten while building an app marketing strategy, but if used intelligently can do wonders for an app. Despite a massive following, users continue to ditch apps by artists due to lack of a solid app marketing strategy. The same applies to other app categories as well. That’s why staying relevant, offering a unique experience, promoting it well and reinventing content are much-needed tacts for app growth. These are also a few unique lessons that we can learn from artist driven apps. Brands can incorporate these lessons by tweaking them to suit their strategy. Is there an app by an artist that you feel has an important lesson for the app marketing community? If yes, we would love to know more about it.